Odón De Buen, Director General of Mexico’s National Commission for the Efficient Use of Energy (CONUEE) and Andrew McAllister, Commissioner of the California Energy Commission (CEC), led the California-Mexico Energy Efficiency Webinar held in early June to discuss current activities supporting energy efficiency and opportunities for collaboration. 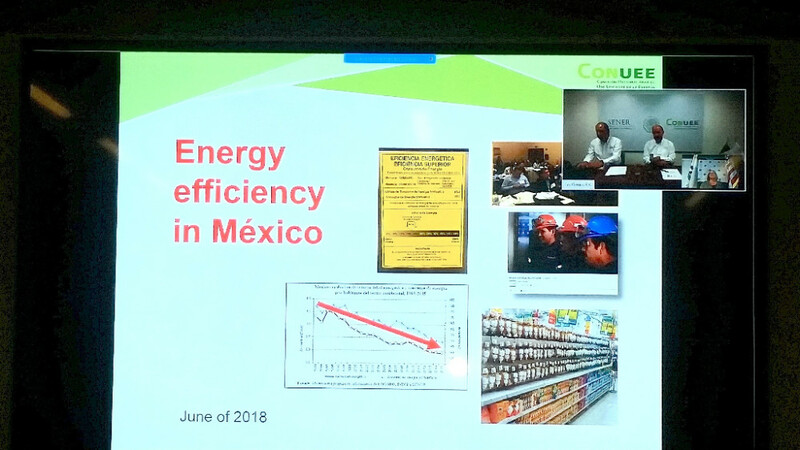 The webinar, hosted by CEC in partnership with CONUEE and Berkeley Lab’s Mexico Energy Initiative (MEI) as part of the activities under the California-Mexico MOU for Cooperation in Clean Energies, included a presentation by MEI Director Michael McNeil on the critical role of data in the articulation of energy efficiency policies and programs. Director General De Buen emphasized that as a result of the implementation of energy efficiency (EE) standards, the residential sector in Mexico has reduced its energy intensity level (energy units per unit of GDP) by 45% in the last 20 years. Commissioner McAllister highlighted the significant electricity savings achieved in California in the last 26 years through consumer-driven savings, appliance and building standards, and energy efficiency programs: per capita electricity use has remained flat in the state over the last 40 years while the rest of the country’s use continues to rise. Both government officials pointed to the potential of increased California-Mexico collaboration on areas such as joint research projects, knowledge exchanges, and best practices on planning and policy development processes. The webinar follows a series of meetings held last May in Sacramento by the CEC, Mexican government officials, and research institutions from both sides of the border to promote cooperation on clean energy policy. View webinar and presentations here.